KJ Apa, who plays Archie in the hit show Riverdale, enjoyed a day off in Vancouver, Canada. KJ was seen chatting to another fellow cast member after they went to the gym together. 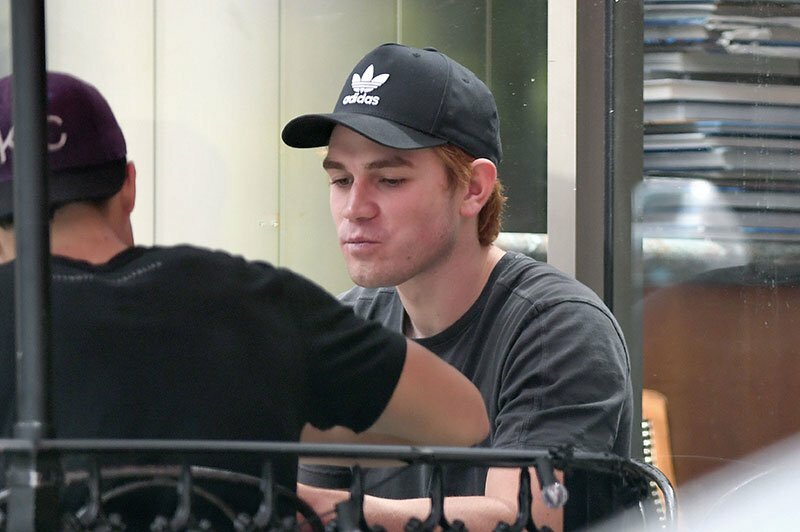 KJ, who hid under an Adidas originals baseball cap and Ray-Ban sunglasses, was seen stopping off at a coffee store in Vancouver and enjoying lunch as he spent the day relaxing in Canada. Riverdale's Archie played by KJ Apa enjoys a day off in Vancouver, Canada. Archie, Jughead, Betty, and Veronica have all returned to Riverdale as the second season gets underway in Vancouver, Canada. Fans of the show have been lucky to catch a glimpse of the actors as they film in the downtown Vancouver area. KJ Apa Trivia: KJ Apa (Keneti James Fitzgerald Apa) is from Auckland, New Zealand and started his tv career on the popular New Zealand soap opera Shortland Street.